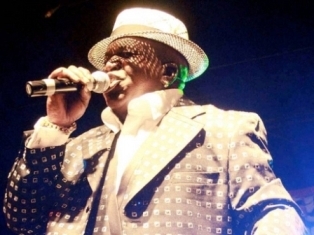 Barrington Levy, the legendary Reggae superstar has been hospitalized after falling gravely ill.
After running a dangerously high temperature he collapsed and was rushed to the hospital where he was diagnosed with Dengue Fever. The artist was scheduled to perform this Friday in Santa Barbara and on Sunday the 27th at the Greek Theater in Los Angeles on the 'Catch A Fire' tour with Damian 'Junior Gong' Marley. The Platinum Camp staff and CEO Daddy Bigg$ asks the fans of Mr Levy to whisper a word of prayer for his speedy recovery.